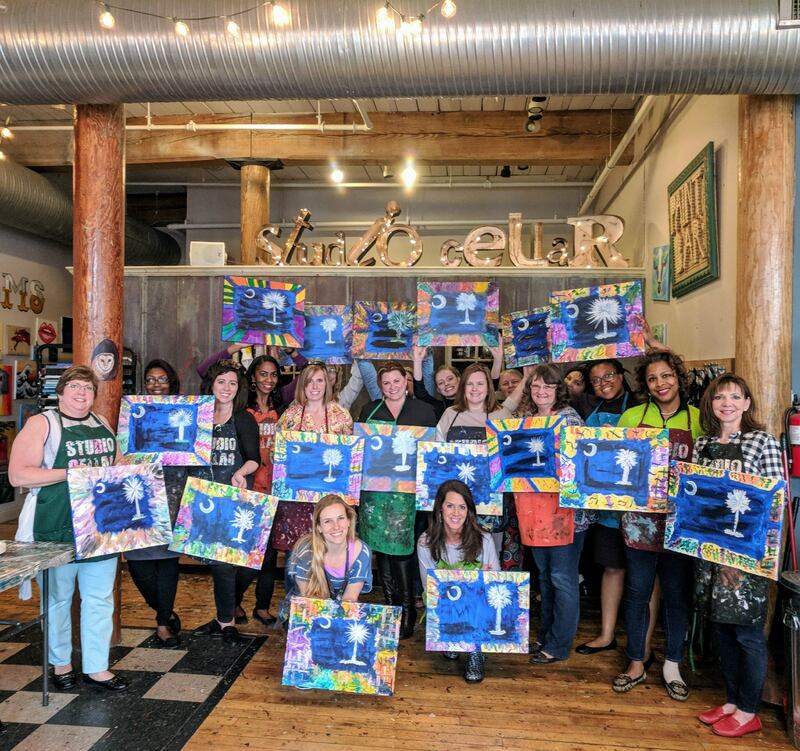 Paint Classes & Freestyle Daily! Reserve class seating OR just come in without reservations to Freestyle anytime. 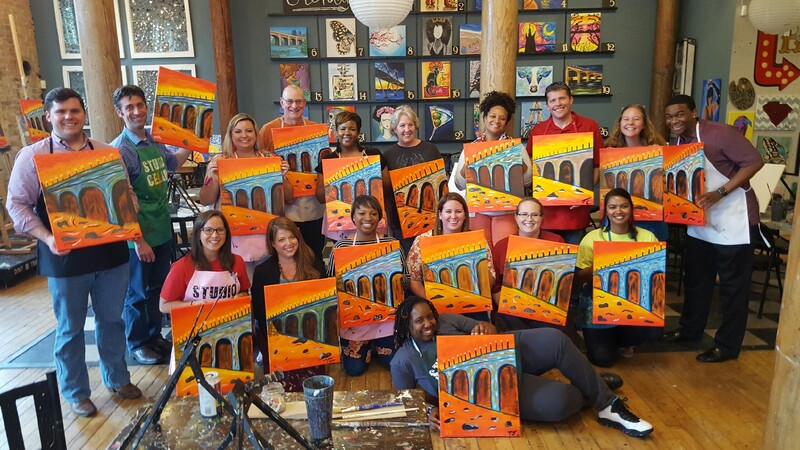 Studio Cellar is a local social painting studio where everyone is welcome and no skills are needed. 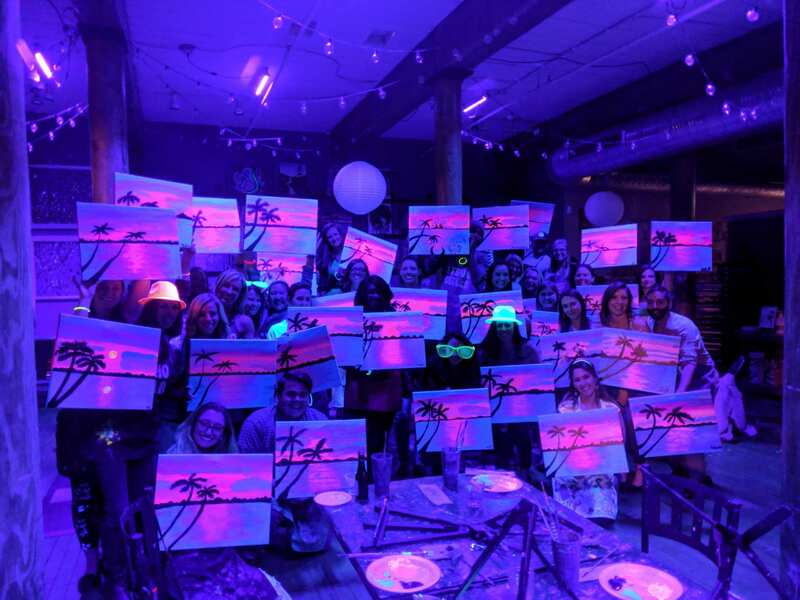 You can pick from entertaining yet instructional classes, choose to freestyle at the paint bar or throw a paint party with your friends. Alcohol and non-alcoholic drinks are sold on premise. You may bring your own food or snacks, but you need to purchase drinks on premise. Take your masterpiece home when you go, all for a memorable experience that will last forever. Reserve your special nights, parties, group gatherings, and social events through email or by phone. This historic building is unique and charming, perfect for your special occasions in Columbia's premier district. We can't wait to see you "Pour your ART out!"